How do we solve climate change? 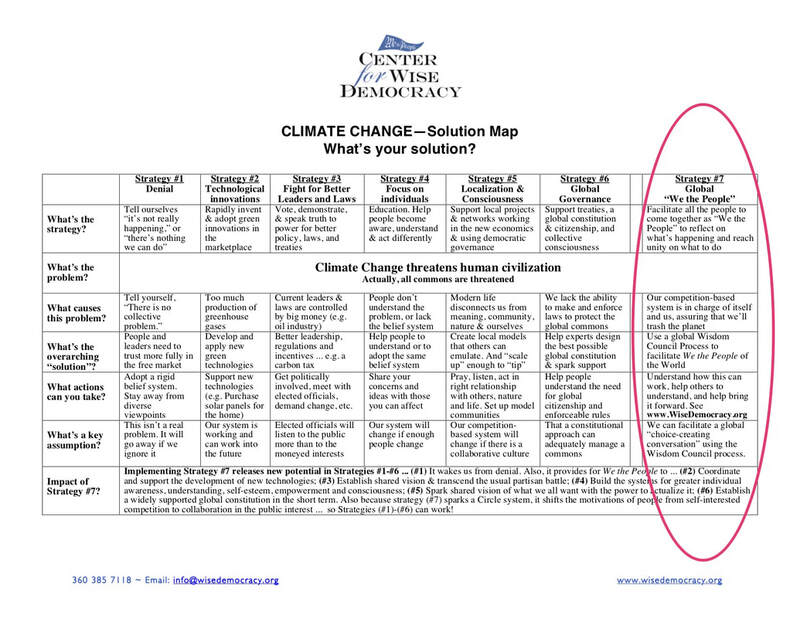 ... Below is a downloadable pdf file, a handout showing a selection of solution strategies. Note the pivotal importance of the global Wisdom Council Process.